Up for review tonight is a brand sold exclusively in Europe. I had never heard of Patoro cigars prior to my recent visit to the new Augusto Reyes factory in the Dominican Republic where they are produced. Patoro is a brand that was created by Patrick J. Martin and is sold at luxury prices in some of the best lounges in Europe. Patrick has a long history in the cigar industry; most notably, he is recognized for his work with early Dominican-made Davidoff products. A quote from the Patoro website: luxury and good taste. 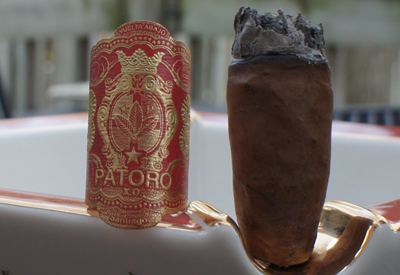 Pure Cuban tobacco seeds, Dominican sun and the soil of Santiago create the valuable basis for each and every Patoro Cigar. The rich, nurturing soil combined with excellent experience in growing tobacco plants, gained over more then six generations, and the skillful hands of our master Torcedores, creates the unique taste of a masterpiece. When I spoke with Patrick, he stressed to me the importance of the quality he demands of his product. 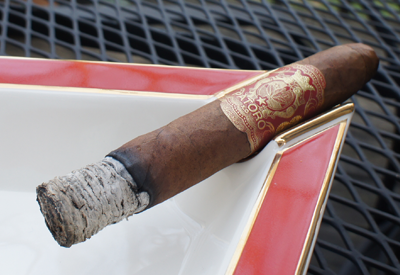 He said he only allows a team of rollers to make 50 cigars a day (30 in the case of the Limited Edition, like in this review), and they must all go in the same cabinet for sale, if approved by quality control. As you can guess, these sticks are pretty hard to find, even in the European market. The wrapper on my Patoro was a light brown color with a lot of tooth and texture. The pre-lit aroma was strong and smelled of hazelnut and sugary sweetness. The cap clipped with no problem and the cold draw was, again, very strong and tasted a lot like red wine. This was a shock to me because I'm not sure I've ever had a cigar with this flavor on the cold draw. I couldn't finish the pre-lit portion of this review without mentioning the very detailed and intricate design of the band. There are only two colors used (red & gold), but there was a lot going on. The big star on the band reminds me of something Russian. Nicely unique design. 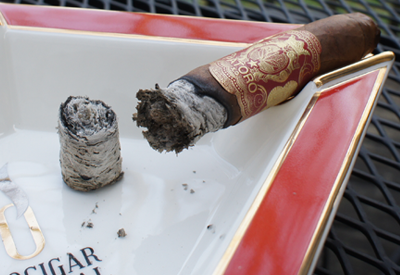 The best way to describe the beginning of this cigar is to say it was rough. The draw was very loose and it made the stick burn very hot. When I say loose, I mean like sucking air through a straw loose. It was uncomfortable and made the cigar almost tasteless. What little flavor I could pick out was a little citrus-y on the front, with a mild pepper on the finish. The finish is long, but I think that mostly had to do with the hot burn I got from the draw. The nicotine strength was in the medium range. The second third was plagued again with the loose draw issues, but to counter that, the flavors did pick up a bit. The front of the profile was a twangy floral flavor that, much like the cold draw, was unique and the finish had a more pronounced black pepper taste. I liked the flavors, but the loose draw/hot burning issue made things unpleasant. The nicotine strength stayed in the medium range. 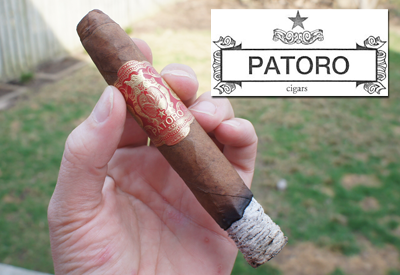 The final third of my Pataro was actually the best part of the cigar. The flavors were the same as the second third (twangy floral front, black pepper finish), but the draw seemed to tighten up a bit. Maybe there was some buildup in the cigar that helped out? I'm not sure, but at this point, I was very happy to have things not burn as hot and mellow a bit. It was a nice way to finish the smoke. The nicotine strength moved a little higher in the final third, but I'd still call it medium to lower-full at the strongest. Patoro Vuelta Abajo Limited Extra Belicosos? 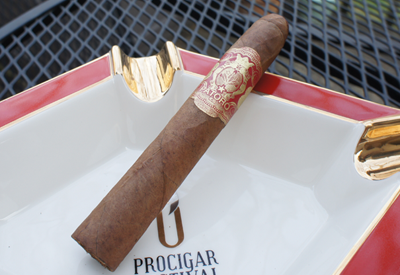 For a cigar that prides itself on quality, I can only think that I got a dud or that the travel from the pool deck in the DR to my house did something to mess the stick up. The flavors were pretty interesting when I was not being overrun with heat from the bad draw, so it was not a total loss. Would I buy it again? I would like to get maybe one more of these, but with this experience and at that price, it will not be anytime soon.